The international GOOS programme is a collection of observing systems, which provide near real time measurements of the state of the oceans for observing, modelling and analysing marine and ocean variables and which support operational oceanography worldwide. These observing systems vary from a few buoys operated by an individual research laboratory to large, intergovernmental co-operations and together help provide an accurate description of the oceans and which can also be used in forecasts for climate change. GOOS is a platform for international cooperation for sustained observations of the oceans, generation of oceanographic products and services and interaction between research, operational, and user communities. The implementation of GOOS activities occurs through programmes such as GOOS Regional Alliances (UK research institutions are part of EuroGOOS), JCOMM (Joint WMO-IOC Technical Commission for Oceanography and Marine Meteorology), IODE (Oceanographic Data and Information Exchange). The Argo floats are autonomous observation systems which drift with ocean currents making detailed physical measurements of the upper 2 km of the water column. 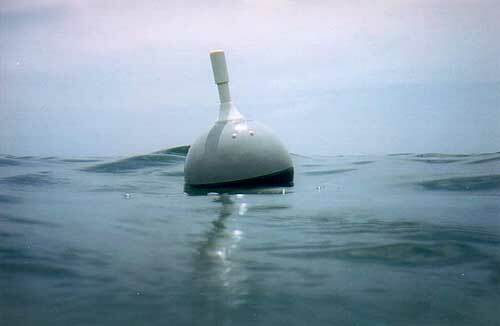 Every 10 days an Argo float changes its buoyancy by pumping fluid into an external bladder. During its journey through the water column, it records the conductivity of the seawater, its temperature, and depth pressure. Once at the surface the Argo finds its geographical position via GPS and transmits its recordings by satellite to Argo data centres where the information is joined with data from over 3,000 other Argo floats to form a synoptic 3-D view of the ocean in near real time. 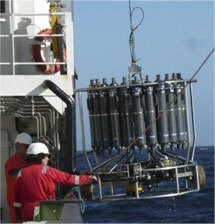 The direct sampling of ocean water by lowering bottles from a ship and returning water samples shipboard for analysis remains one of the fundamental tools of ocean observations. 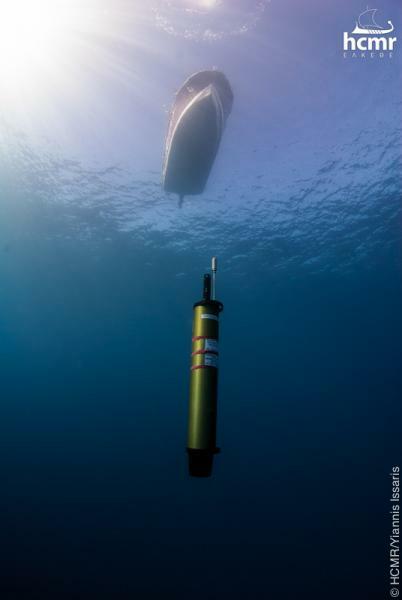 The workhorse of hydrography is the Niskin bottle which is often deployed in clusters on an instrumented rosette, which records Conductivity, Temperature, and Depth (CTD). The CTD rosette is lowered to its deepest point and then as it is winched up to the ship the bottles are closed, one at a time, capturing a profile of the water column along the way. The water can be filtered and sampled for CO2, chlorophyll, microorganisms, biogeochemistry, and a wide variety of other uses. These simple buoys take measurements of surface seawater temperature and salinity and marine meteorological variables that are telemetered in real time through the World Meteorological Organization’s Global Telecommunications System (GTS) to support global meteorological services as well as climate research and monitoring. The global array is designed to use 1,250 buoys to cover the oceans at a resolution of one per 5° × 5°. The surface temperature data have been used to calibrate satellite temperature imagery, bringing bias errors down from 0.7°C to less than 0.3°, allowing accurate climate change monitoring. 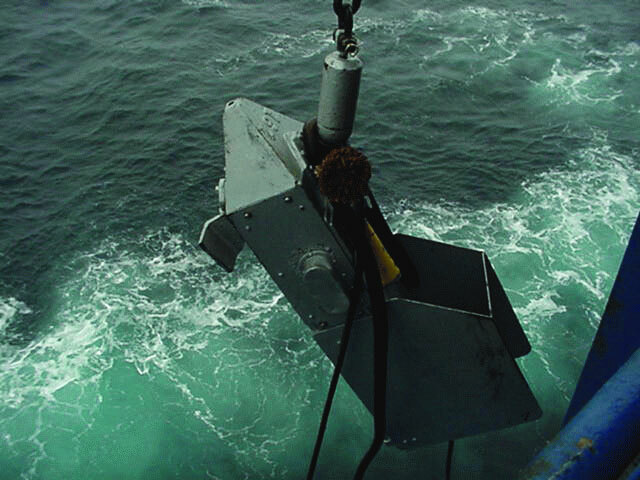 Launched over the side of a research vessel, merchant ship, or other vessel of opportunity, the Continuous Plankton Recorder (CPR) captures plankton from the near-surface waters as the boat tows the instrument during its normal sailing. The CPR works by filtering plankton from the water over long distances (up to 500 nautical miles) on a moving filter band of silk (270 micron mesh size). The filter silk band is wound through the CPR on rollers turned by gears, which are powered by an impeller. On return to the laboratory, the silk is removed from the mechanism and divided into samples (known as blocks) representing 10 nautical miles of towing. The amounts and types of phytoplankton and zooplankton captured upon the silk are analyzed at the lab. After analysis, the counts are checked and added to the CPR database, which contains details of the plankton found on over 170,000 samples taken since 1946 in the North Sea and North Atlantic Ocean. The Global Sea-Level Observing System, GLOSS, is an international programme overseeing the coordination of a network of sea level monitoring gauges installed along sea shores in over 70 countries. Each station is capable of accurately monitoring sea level changes with high accuracy and many are able to transmit information in real time via satellite links. The GLOSS network is incorporated into Tsunami warning systems. Real time measurements of water level changes can provide tsunami warnings for locations surrounding the affected sea basins. 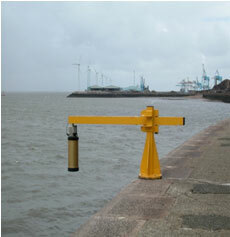 Sea-level observations are also useful for local navigation and continual refinement of tide table predictions. In 2002 the UK Government’s report Safeguarding our Seas set out the UK’s aims to achieving clean, healthy, safe, productive and biologically diverse oceans and seas. The delivery of this aim is the responsibility of the United Kingdom Marine Monitoring and Assessment Strategy (UKMMAS) community, whose progress has been reported in the reports Charting Progress (2005) and Charting Progress 2 (2010). UKMMAS’s Ocean Processes Evidence Group (OPEG) contributes to GOOS and also acts as the UK’s national GOOS committee. One of its contributions is through the Argo profiling float programme, coordinated through the BODC. Globally, Argo is an array of around 3,000 floats that provide information on ocean temperature, salinity and pressure between the surface and a depth of 2,000 metres. The UK Argo float programme is co-ordinated and managed by the Met Office with specialist advice provided by the National Oceanography Centre and the British Oceanographic Data Centre operate the UK Argo Data Centre and the Southern Ocean Argo Regional Centre.